The Yasme Foundation offers a beautiful plaque to anyone who submits proof showing contacts with 30 different call signs of YASME officers, directors and/or operations. 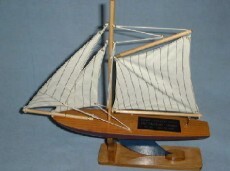 For proof of 60 contacts, a trophy in the shape of the sailboat “Yasme” is awarded. Eligible call signs are listed on the Yasme Awards Call Sign Directory page. There is no charge for Yasme Plaque or the Yasme Trophy Awards. GCR Rule: As a general principle, QSLs are not required to be included with the application. Following what is considered to be General Certifications Rules (GCR) is satisfactory: a list of the appropriate QSOs with a signed certification by an official of a national-level Amateur Radio Society or two officers of a local Amateur Radio Club stating that the valid QSLs are in possession of the applicant will be honored by Yasme. Logbook of the World confirmations may be used instead of QSLs, provided the person(s) signing the certificate states that he/she has viewed the LOTW confirmations. This list should show the call sign, date, time, frequency, mode and signal report for each contact. Yasme reserves the right to inspect confirmations upon request and any decisions made by Yasme as to the validity of an application is final. 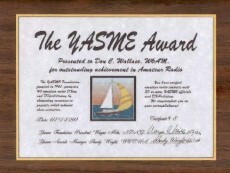 If you have a personal log record which shows contact with a station in our Yasme Awards Call Sign Directory, but you do not yet have a QSL card confirming that contact, you may request cards from the QSL Manager. 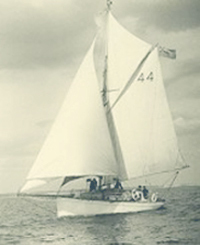 Cards are only available if the DXpedition call is marked with an asterisk (*).